We are located at 2333 South Loop West, directly across from Reliant Stadium on the corner of 610 and Kirby. 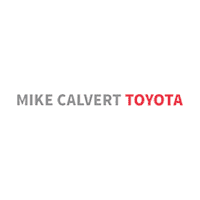 Mike Calvert Toyota in Houston, Texas is jointly owned by Mike Calvert and Jay Davis. The partners incorporated the business in 1983. At Mike Calvert Toyota, customer satisfaction is the highest priority. Our award winning Toyota Sales, Toyota Service, Toyota Parts, and Toyota Body Shop departments are ready to serve you. We have just remodeled our entire Service Department for your convenience, and have Express Service for your quick Maintenance needs. We offer FREE Shuttle service to the Houston Medical Center and surrounding areas. At Mike Calvert Toyota, we treat you like family and look forward to building a long relationship based on trust, appreciation, and service.